Hub formulated plans for GA seats at #wits . He bikes ahead, I wait for sitter & meet later. Soooo excited for @joshritter performance! Tacos, Nacos, and Beer followed by #wits tonight in beautiful downtown St Paul. Can't wait! Everybody in the #wits production booth has a @joshritter crush. TONIGHT'S #WITS BARTER CHALLENGE: Bring me something that looks like one thing but is ACTUALLY something else! #wits : it's what's for dinner! 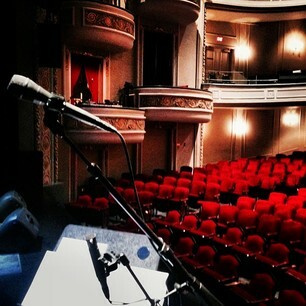 Ok #wits dears - 4 glorious main floor reserved tickets are now available for tonight! About to discover what a week-night #Wits is all about! Hope to see you there! If you're heading dow to #wits , there's food trucks waiting! @TikiTims_MN & @Simplysteves are here to warm your bellies. DJ @BarbAbney is setting the mood tonight for #wits with @margaretcho & @joshritter We are expecting a lively pre-show party. See you soon! After a long #GTMD13 , I can't wait to get to #Wits with Margaret Cho and @joshritter tonight! Channeling @aimeemann 's amazing #wits performance as I prepare for tonight's show. 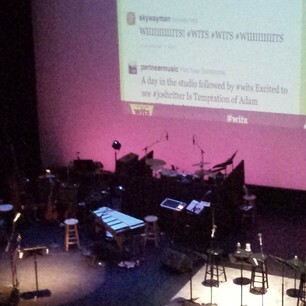 Remember to use #wits so your hilarious and insightful tweets are eligible for the tweetwall! Delight the crowd, impress your friends. Your night will only get better! " @librarianm0m score! Street parking! #wits @dave_collins "
Hi! I'm going to be on #wits tonight. 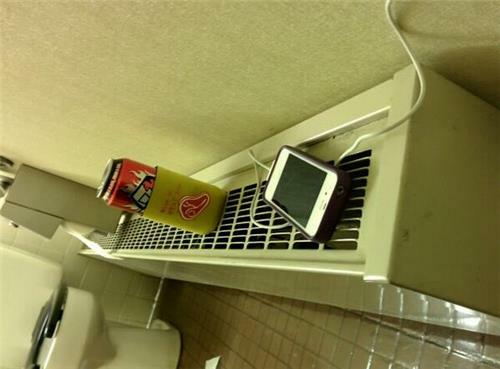 NEAT TO THE MAXIMUM EXTREME. The @jefe23 is in his element at #wits . He was born for this. Also he's wearing a red cape. 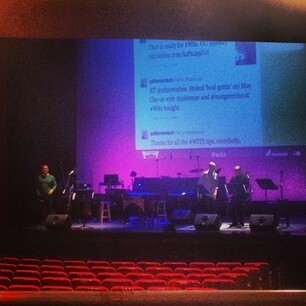 Don't double down, get a double take for me at #wits , friends. Wish I could be there tonight! At #wits I could really use some #batmanadvice tonight! Gave away my #wits tickets for tonight's show. Call me witless? Enjoy the show!!! 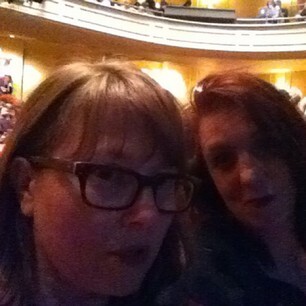 Beers, queers, and CHOed, at #Wits with my barber. #wits Hey, we are upstairs at Erica. C'mon up! At the #wits at the fitz, pumped to hear some Josh Ritter! I'm nervous about #wits tonight. What if @johnmoe isn't as avuncular as I'm accustomed to? YOU BETTER BRING THE FOLKSY AVUNCULARITY, pal.